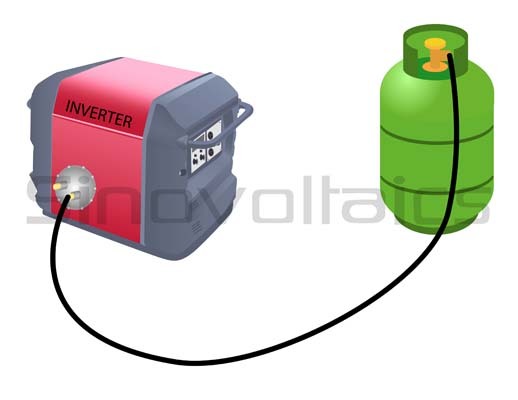 Most common solar backup option is to install a generator that runs off diesel, propane, gasoline or another fuel type. Alternatively a larger battery bank can be an option. Is an emergency backup for a solar system necessary? Installing a backup generator for standalone solar systems isn’t a necessity, however it can be the right choice to secure constant energy supply and make your power system 100% reliable. Emergency generators aren’t just for off-grid solar system. These can also be used for grid tied solar systems. Emergency generators are a common addition when power supply from the grid is unreliable and outages are common. When you live in a remote area and you don’t have access to grid power, an off-grid solar system may be a good option to power your electrical needs.. Solar backup power: why need backup power for your off-grid solar system? Solar Panels convert sunlight to useful electrical energy and it is then stored in battery banks to be used during the night. But what if there is no sunlight for a couple of days and you run out of battery power? In the above scenario you would be left with a fully functional solar system without electricity. If constant energy power supply is important to you and you want to avoid running out of power, it is recommended to have a backup power option available for use in emergency. There are a few options available when it comes to backup power for off grid solar installations. 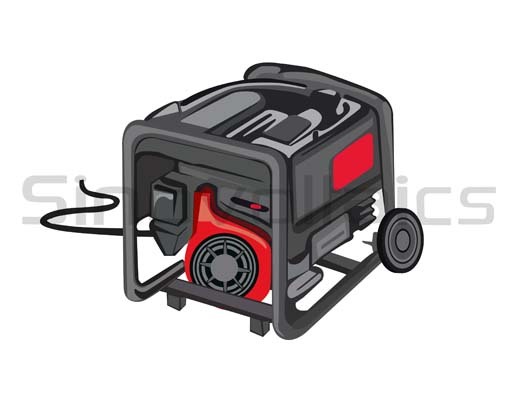 The most common option is to install a generator that runs off diesel, propane, gasoline or another fuel type. The generator should be properly sized to provide power to operate at least critical loads during an outage. A typical 10 kW diesel generator may cost anywhere from about US $2,500 to US $10,000. After determining your critical loads, you may decide to purchase a smaller generator than expected. A backup generator or an emergency generator adds additional reliability and continuity to your power supply. Besides providing instant power at your demand, it also helps in meeting occasional higher power demand. It also provides additional charging time for your batteries. It burns fuel and pollutes the environment, requires maintenance, is noisy, has a high installation cost and it eventually has to be replaces due to its normal wear and tear. For grid isolated solar systems, this is a ‘must-have’ component for providing power during grid outages or in the event of battery depletion or failure. The good news is that emergency backup generators come in all kinds of sizes and configurations that will suit various budgets. Prime Power Rating Generator: These generators are designed to be used in applications where there is no access to grid power (or the user does not want to buy grid power) and acts as the primary source of electricity generation. Standby Power Rating Generator: These are the most common type of generators. They are used to provide power for a limited time during a power outage. It does not have any overload capacity and cannot work in parallel to the grid power. Continuous Power Rating Generator: These generators are used in applications where the power needs to be supplied for an infinite time at 100% constant load. Portable Generators: These generators are generally very robust and are employed in applications that have certain space or noise constraints. They are movable and could be moved to any location. Stationary Generators: These generators are permanently installed units and are fixed in nature. These could either be standby rated or prime power rated. These are generally common in applications in remote areas which lack access to grid power (or the user does not want to buy grid power). Properly sizing your generator could save you from power supply issues and frequent maintenance in the future. It is always preferred to have an oversized generator than an undersized one. An oversized generator will not only leave you with some room for future load expansion but will also ensure that the generator is never run in excess of 75% of its rated capacity. This extra capacity is necessary for the highest operating efficiency of the generator. A quick and easy way to size the generator (although not so accurate..) is to add the wattage of all the loads that you need to be powered simultaneously and multiply that number by two. This will take care of all the starting surges that some of your appliances may need and will also leave some room for future expansion. Another option is to have a larger battery bank. This is not a backup strategy but an approach to avoid the need to install a backup power. Oversizing the battery bank increases the cost and is therefore not recommended. If you have grid access, the best option is to have a hybrid solar system which uses a disconnect switch to connect or disconnect grid power. If you run out of battery power, just toggle the switch to connect and, if the grid is performing properly, you will be connected to the grid. This however is not an option for people living in remote areas who do not have grid access. Which solar backup option to choose? If you are living in a remote area and have no access to the grid, the best option would be to install a backup generator. The costs are comparatively low and they are robust and reliable. One caution you must always take is to make sure you have enough fuel ready at hand. A generator without fuel is no different than a battery bank without charge.